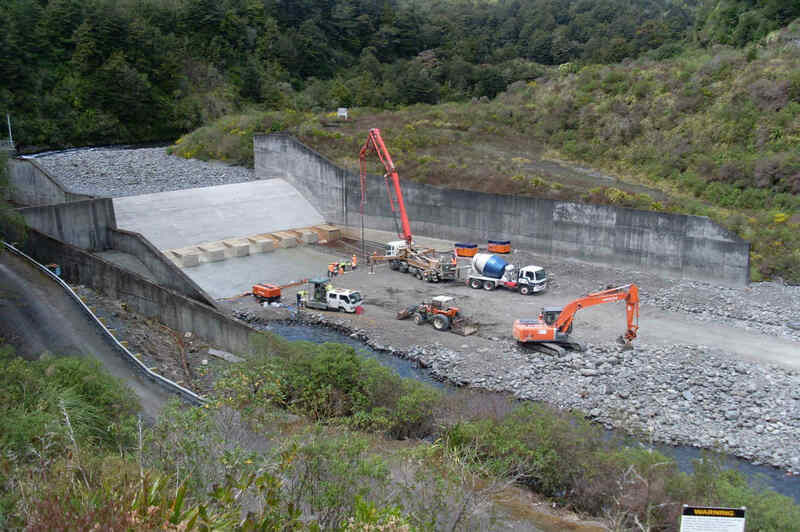 The Whakapapa Intake forms part of the Turangi Power Scheme and was constructed in the 1960’s. Over the years, the stilling basin apron suffered hydraulic erosion to the concrete. 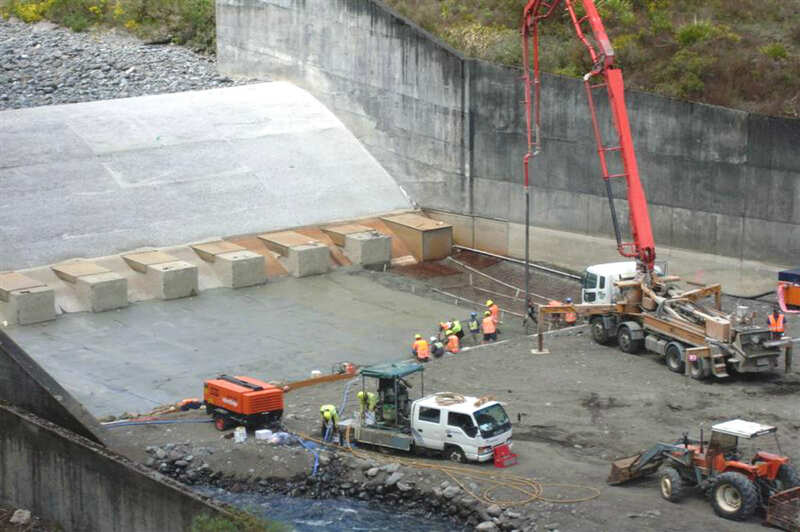 The works required the dewatering of the river and the construction of a 300m3 concrete overlay. Programme: CSL provided a construction methodology that enabled the works to be completed in 2 weeks. This was 3 weeks earlier than the original contract period of 5 weeks. Budget: This project was completed below budget. Quality: Project Quality Plan was drawn up and observed in accordance with the company’s AS/NZS ISO 9001:2008 accreditation. There were no significant defects requiring remedial works. Environmental: The project was carried out in a Dual Heritage National Park. The river was subject to extreme increases in water flow, going from 3cumecs to 400cumecs in an hour during heavy rain. This required that weather patterns be reviewed hourly and a detailed emergency evacuation plan developed. Further, the works required the construction of a coffer dam in order to dewater and lower the water level by 3m. There were no incidents on this project, carried out in a Dual Heritage National Park. 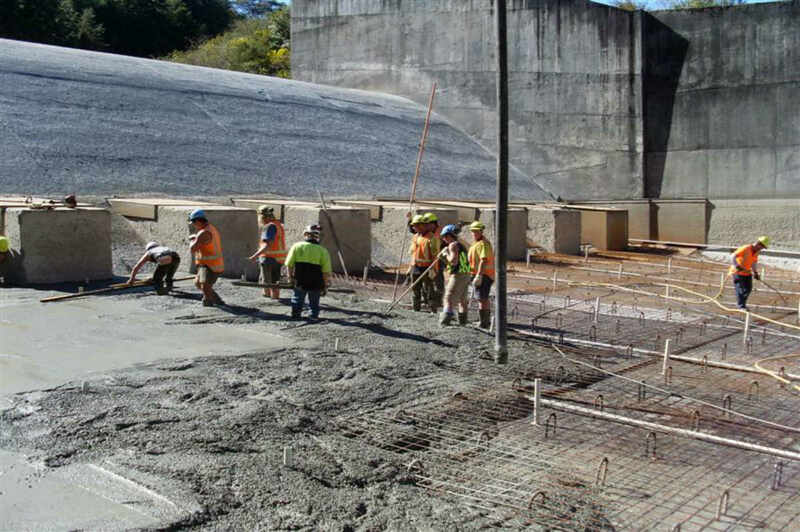 Concrete Works: Existing concrete surface preparation, including the drilling and epoxy of 546No 25dia reinforcing dowels and the construction of a 300m3 x 450mm thick concrete overlay. 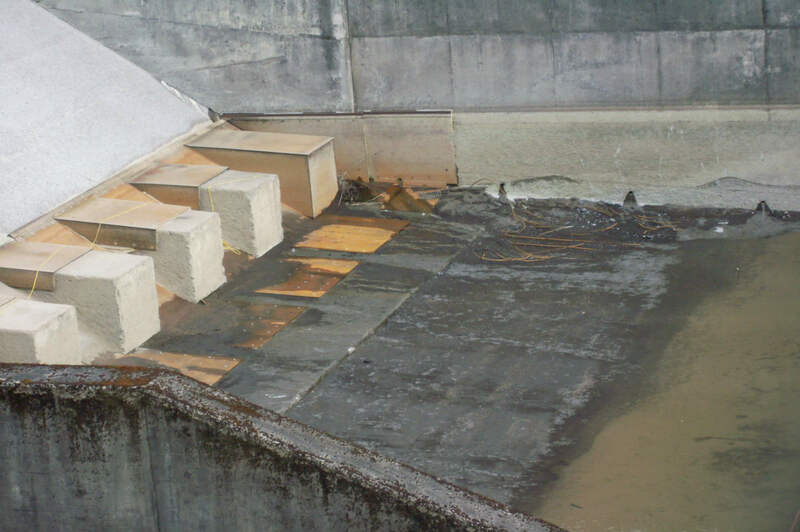 The work was carried out on a live hydro intake under very challenging conditions. Management of the Public / Stakeholder Interface: This project required the involvement and regular meetings between Genesis Energy, Department of Conservation and CSL to ensure that the objectives of the respective parties were achieved. By reducing the overall construction programme CSL minimised the disruption to the operating intake and power station. The resulting project was completed three weeks earlier than the original contract period.